Coopers Fire would like to invite you to FIREX International 2015, the industry's only event connecting the global security and fire markets. FIREX International is the leading event for every professional involved in fire protection, prevention and detection, offering a comprehensive selection of the latest thought-leadership alongside the best networking in the industry. 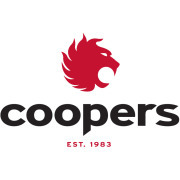 Join Coopers Fire as they showcase the latest innovations and end-to-end solutions on the showfloor.